One day not so long ago, I received a message from one of our fabulous TPS members sharing a piece she had written. Let’s just say I found myself laughing aloud at my desk. (A lot). That’s no small feat. Read today’s post and I’m pretty darn sure you’ll find yourself joining the giggle crew right alongside me. Dear Diary: My hopes were high today when I was granted a temporary furlough from the prison that is my cubicle. But my dreams of sunshine, tall trees, and green grass were subsequently quashed when I was informed that my furlough would take me to the dark and mysterious pit of the County Archives. I can still only dream of when my face will feel the warmth of the summer sun. Dear Diary: I am convinced a saboteur is amongst us. What can only be described as fish bomb has permeated my work space causing a severe reaction of heaving, coughing and watery eyes. Further investigation led me to the kitchen. But there is no evidence of the terrorist who exploded their fishy dish in the microwave. But I must soldier on and finish the accounting before today’s deadline. Although the assault on my nostrils has left me battered, I will live to see another day… but I will never eat fish again. Dear Diary: It is Administrative Professionals day and we are spending our day in “retreat”. In an effort to quell the seeds of rebellion, our overseers have extended to us lowly workers a day outside of the office in “team building” exercises consisting of trust falls, communication games, barbeque and soft drinks. Although their motives are obvious, I will participate. The smell of fresh air on a Wednesday is too much for me to pass up. But the rebel commanders, errr Legal Secretaries, will not be assuaged for long. I sense cookies may be in our future. Dear Diary: The phone is an evil invention I am convinced was created for the sole purpose of killing my soul with every ring. Each time I pick up the receiver, there is a void of sound until it happens … as it did the last 197 times today. The beeping of a fax machine on the other end. Will it ever end? Who is the master criminal on the end of the line who continues to dial my number and how can I make him stop? PLEASE MAKE THE BEEPING STOP!!! Dear Diary: I had the dream again last night. They chased me through the night. Pink, yellow, green and blue post-it notes. They are seemingly random scribbles, in an indiscernible language I can’t seem to read, yet are in my own handwriting. When I awoke, I found myself at my desk after midnight. Sadly, I had missed 0.40 hours of billable time in my post-it apocalyptic nightmare. Dear Diary: I was cropdusted. That is all. Dear Diary: A dark cloud has descended upon the litigation paralegal group in the form of what the paralegals are describing as a human/dragon hybrid. This fire breathing dragon lady was transferred from another office. Her sharp tongue eviscerates the junior paralegals who are afraid to leave their cubicles in fear of being caught in the gaze of what has been dubbed “Parazilla”. Only time will tell if a brave knight will slay this dragon or whether she will force her will upon the litigation paralegal group. However, fortune does not usually favor the bold. I fear servitude is our only recourse. Dear Diary: Today I must face my nemesis. I expect a fierce battle of wills. I must keep my cool and maintain my composure in the face of this unholiest of foes… Bank of America. How long will I remain on hold today? And how many transfers will I endure? I WILL win the day and get the statements I requested. They WILL. NOT. BREAK. ME. Dear Diary: I am a failure. Poised for victory against the giant behemoth B of A, I was ready for action. But in the end, I lost. My patience stood the distance of the half hour hold time and the three different customer service representatives to whom I had to explain what I was requesting. However, by the end of the hour, I had to accept defeat. I was defeated by the sound of a dial tone, as I had been disconnected. Faced with another hour starting from scratch, I hang my head in shame and vow to face my foe tomorrow. Kimberli A. Taylor is a paralegal working at the Los Angeles areas law firm of Conover & Grebe, LLP practicing in the areas of probate, estate planning, trust administration, and conservatorships. Ms. Taylor graduated from Santa Ana College in 2002 with Honors earning her Associates Degree in Paralegal Studies. She has been a practicing paralegal for ten years, eight of which have been in her current specialty. Ms. Taylor previously served on the Board of Directors of the Los Angeles Paralegal Association for six years and chaired its Probate and Estate Planning section for seven years. She also volunteers her time with various charities including Sarge’s Community Base and is on the Advisory Board of H.E.L.P. (Healthcare and Elder Law Programs). 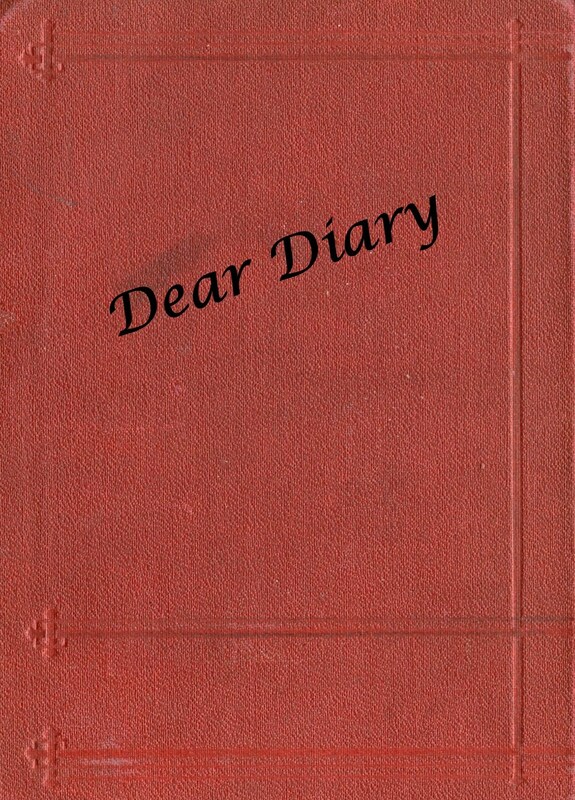 We hope you enjoyed reading Kimberli’s diary as much as we did! Funny stuff. Laughing aloud at your desk? Me, too, even the second time around. We’ll see you next week, TPSers! “Servitude is our only recourse” – how true / scary! Hysterical, yet oh-so-accurate. Love the “parazilla” designation although as the sole paralegal working for a solo attorney I can sympathize but not relate. I LOLed at the “giant behemoth” BoA – substitute AT&T and I’m right there with you. Great stuff! Jamie was right – I was hysterical. We absolutely need to hear from Kimberli more often. Poor Kimberli…but hilariously awesome diary – keep writing! am at college but I want to volunteer for me to have better understanding am at turffontein jhb south and am working Monday to Friday where can I go?